The quality and professionalism of your commercial lawn maintenance provider directly affects the quality and beauty of your site for yourself and your tenants and neighbors. 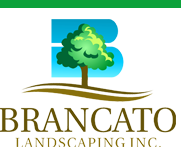 Brancato Landscaping provides decades of knowledge and professionally trained staff to provide the utmost level of quality for your property. By combining experience, knowledge, and professionalism Brancato Landscaping gives their clients the most beautiful and award winning properties in the commercial landscape market. We provide wide range of other landscape services for private and public business, industry, medical, defense, and HOA sites. Request a Quote or call us at (847) 965-1160!